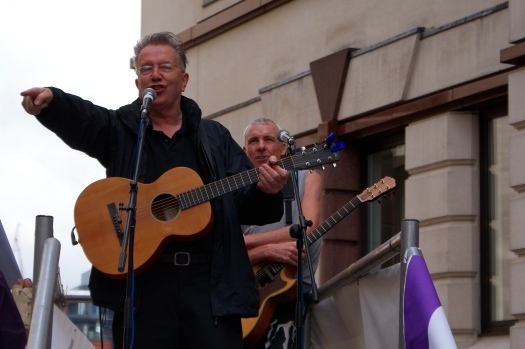 There were a number of musical interludes at the Rally for Legal Aid yesterday, including this song written especially for the occasion by Tom Robinson. A few of the lines might be uncomfortable hearing for some lawyers: “soliciting”, the narrator’s father thought, was “enforcing for the bourgeoisie”, and the “whore” Justice’s “chummy smug monopolies are screaming for reform”. But this is a terrific protest song. Next post: Could David Miranda be a “terrorist”?